One of the best uses for concrete paving stones is making a pavers walkway. 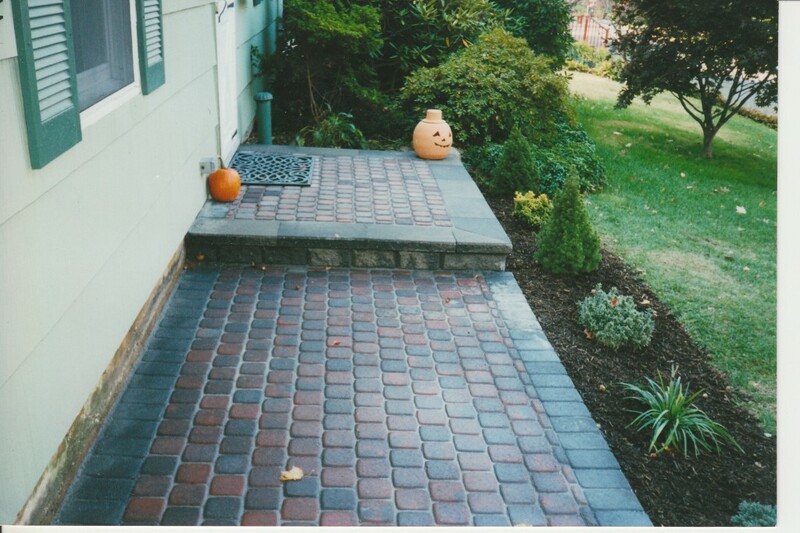 The paver walkway can be located in many places around your home and can serve many functions. Perhaps the walkway will connect your driveway to your front door or stoop. Or perhaps the walkway connects the front yard to the backyard, such as a walkway on the side of the house. Walkways in the backyard are also possible, perhaps connecting patios to the house, or patios to pool decks. Walkways can even be installed in gardens as landscape pavers that can both section off particular parts of your landscape while providing you and your visitors with a path through your creations. The location and function of walkways is only limited by your imagination and the size and features of your home. Using concrete pavers for your walkway will yield many benefits. First, the obvious benefit of pavers walkways is that they withstand heavy foot traffic. A dirt or grass pathway will get beaten down over time, looking more and more unseemly. In addition, mud can be tracked from this path into your home. Asphalt and concrete walkways don’t have this disadvantage, of course, but do have the problem of cracking over time, especially due to freezing and thawing. Paver walkways have none of these problems. In addition, paver walkways add much beauty to your home while also representing a solid financial investment. Concrete and asphalt may be relatively durable, but they don’t hold a candle up to pavers when it comes to the beauty department. They are relatively low maintenance and come in a variety of colors, shapes, and sizes, providing a larger number of design options for the homeowner. Aside from the aesthetic benefits of the paver resistance to cracking, paver walkways are generally safer than other options. Dirt and grass walkways can get muddy and slippery during rain storms. Concrete and asphalt walkways can crack over time, becoming a tripping hazard. Paving stone walkways, however, have none of these problems, especially because the brick are “grippy” due to their roughness and high friction, preventing slipping. They are also easy to maintain in the winter. For extra safety, you could install “walkway lights” that outline the walkway, providing a clear path for travelers at night. Walkways can also represent a solid commercial investment. A well designed and installed paver walkway can set the right tone for any business. The next step is to consider the various size, shapes, and paver colors you could select for your paver walkway. You will want to match or complement your particular color blend with the theme or style of your other installations and with your home in general. There are also a large variety of paver patterns available (that is, how the paver are actually laid on the ground). You will want to make sure that the paver pattern complements any other paver pattern for a nearby driveway, patio, etc. Before selecting your paver color, make sure you see the brick in person, because sometimes the color in the real brick won’t exactly match the color you see in pictures, regardless of how hard the manufacturer tries to make the colors match. One of the ways to keep the cost of your paver walkway down is to install it yourself. DIY paving is definitely possible when it comes to paving stones, though DIY concrete pavers do require a certain amount of skill and knowledge to get right. Thus, it’s best to leave the work to a professional if you don’t feel comfortable – even if you are installing pavers walkway yourself, you should probably consult with a professional just to make sure everything’s right. 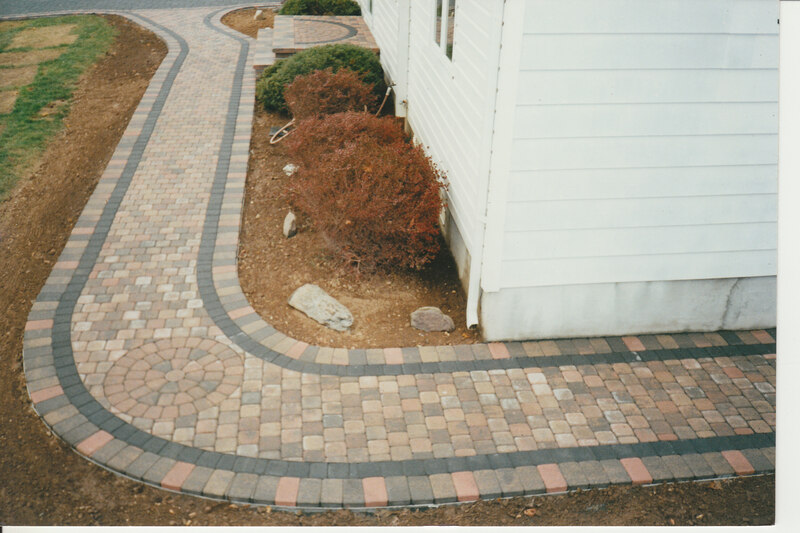 One of the hard parts of how to lay a paver walkway is that you’ll have to do many cuts to make sure that the pavers fit in the pattern and in the design you’ve laid out – especially if you have curves in your walkway. The one challenging wrinkle with walkways is that they will often have multiple levels to them – in other words, they are “step like.” This can create a challenge, as installing a pavers walkway with multiple steps is really like installing multiple walkways. Grading and depth issues will need to be considered closely when designing, escavating, and laying the paver walkway. For more information on installing pavers, see the article on this site. The cost of your paver walkway will depend on a lot of factors – I’ve given a detailed discussion of the factors that affect pavers cost here. In general, expect to pay around $10-15 per square foot for your walkway, usually on the higher end of this prices scale. This is because laying a smaller walkway can cost more per square foot than a larger installation due to the amount of cuts required, the pattern desired, and economies of scale. This entry was posted in Project Ideas and tagged projects, walkways by Will Grander. Bookmark the permalink. What is the brand and colors of pavers shown on the curved walkway? It’s Nicolock – charcoal and bayberry blend. Looking to do a walkway of about 3′ wide or less and 135 feet long. I know it depends on material but what is the least expensive for that size. If I have that I have a starting point and can go up from there. I really like the picture of the curved walkway but I’m sure that is way expensive. Thank you for your time.